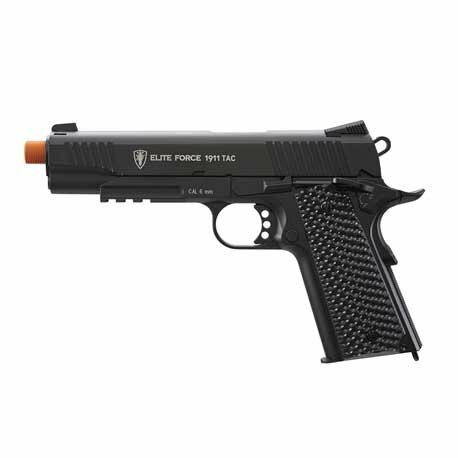 Get your hands on the Elite Force 1911 Tactical Airsoft Pistol Black and stand out from the rest! 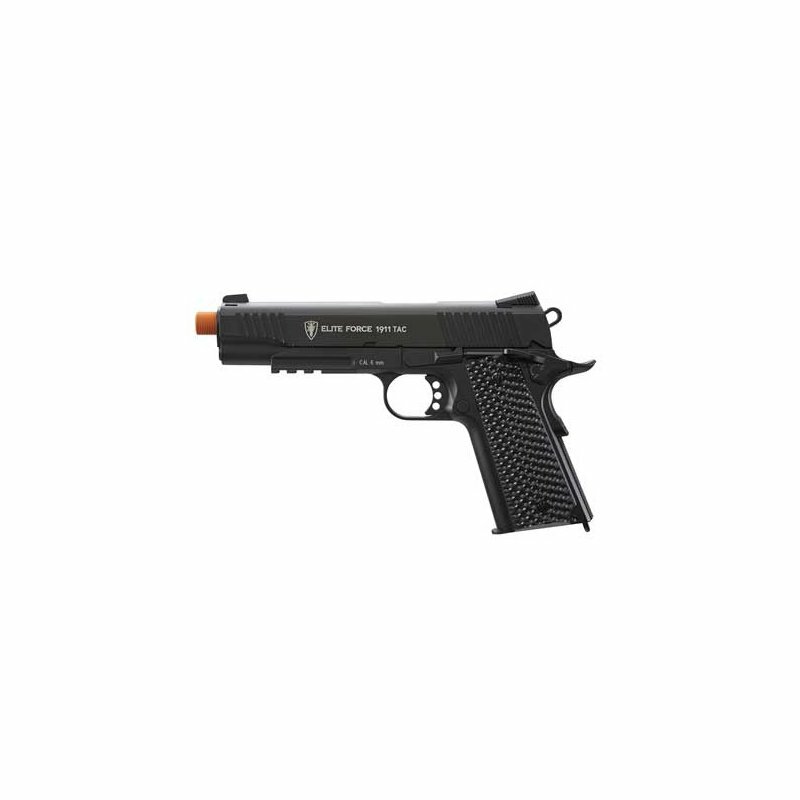 The Elite Force 1911 Tactical Airsoft Pistol Black comes in a custom black colour scheme to help you stand out from all of the other 1911 users. Built with a tough as nails all metal design, your Elite Force 1911 gives you the closest to real steel feel. Each Elite Force 1911 is equipped with under mounted picatinny rails, perfect for players looking to mount tac lights or lasers onto their sidearms. Not only that, the Elite Force 1911 features a threaded tip which accepts all 14mm reverse threaded suppressors and flash hiders!